Mark Halperin has been suspended from his roles as a political analyst at MSNBC and NBC News after a report revealed multiple sexual harassment allegations against him while he worked at ABC News. CNN reported Wednesday night on women charging that Halperin engaged in inappropriate behavior at ABC ranging from propositioning junior staffers to groping and pressing his erection against women while clothed. An MSNBC spokesperson released a statement on Thursday to the Washington Free Beacon: "We find the story and the allegations very troubling. 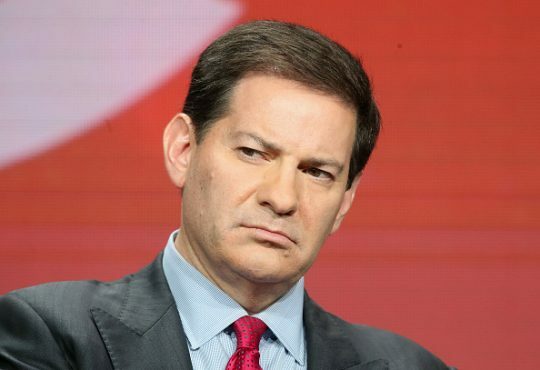 Mark Halperin is leaving his role as a contributor until the questions around his past conduct are fully understood." Halperin hosted "With All Due Respect" alongside Game Change co-author John Heilemann on Bloomberg from 2014 to 2016, and the show was for a time rebroadcasted on MSNBC. He is a longtime political analyst at NBC News and MSNBC and is a frequent guest on "Morning Joe." Halperin joined ABC News in the late 1980s and moved up to political director in 1997. He denied some of the more lurid allegations in CNN's report but apologized for pursuing relationships with women that he worked with and any "inappropriate" behavior. "During this period, I did pursue relationships with women that I worked with, including some junior to me," Halperin said in a statement to CNN. "I now understand from these accounts that my behavior was inappropriate and caused others pain. For that, I am deeply sorry and I apologize. Under the circumstances, I'm going to take a step back from my day-to-day work while I properly deal with this situation." This entry was posted in Politics and tagged Mark Halperin, Morning Joe, MSNBC, NBC News. Bookmark the permalink.